Two-button mouse, or Apple mouse with Secondary Button / Secondary Click enabled recommended. 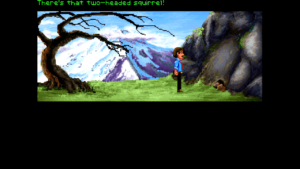 The FM Towns version of Zak McKracken and The Alien Mindbenders offered by GOG.com works flawlessly from within ScummVM on my Ubuntu 16.04 machine. Zak McKracken and The Alien Mindbenders is a graphical adventure game initially released in 1988 for MS-DOS and later released to the FM Towns system in 1990. Developed and published by Lucasfilm Games, it is the second game after Maniac Mansion to use the SCUMM engine developed by Lucasfilm for use in most of their adventure games during the late 1980s and throughout the end of the 1990s. This makes Zak McKracken an interesting adventure title. 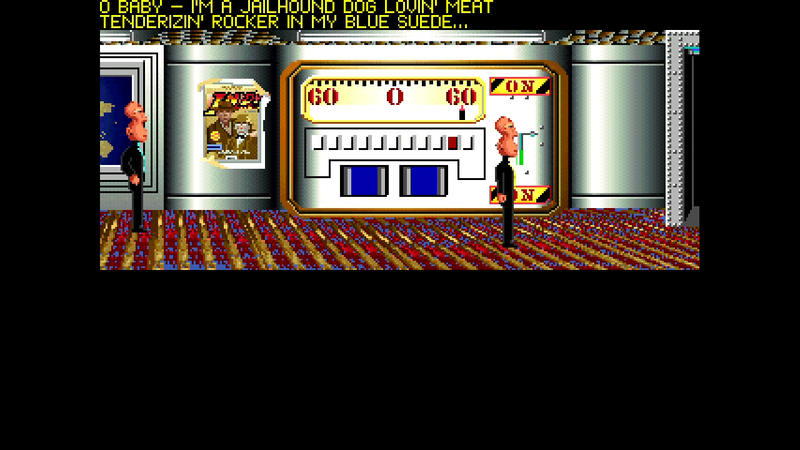 While it has many of the elements and style of future adventure game classics such as Full Throttle and the Monkey Island series, it’s also a little rough around the edges and lends itself to brute force trial and error gameplay on the part of the player, a feature of most adventure games of its time. 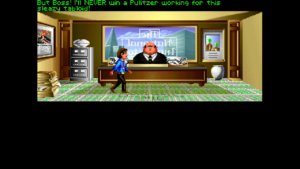 Zak McKracken and The Alien Mindbenders was one of those games that fans of LucasArts adventures had in their collection generally solely because it was a LucasArts adventure game. The LucasArts catalog would be provided in any retail boxed copy of LucasArts games such as The Dig or Maniac Mansion II: Day of the Tentacle. Flipping through the catalog, knowing how much fun it was to play the other titles, gamers would see an ad for Zak McKracken and couldn’t resist given that it was, “From the makers of The Secret to Monkey Island!”. That’s how I wound up playing this game as a child. While the word that sums up my memories of The Secret of Monkey Island was, “Amazing,” the word that sums up my recollections of Zak McKracken and The Alien Mindbenders was, “Fun.” I remembered it wasn’t as colorful, having been developed in EGA 16 color mode, but it had that Lucasfilm/LucasArts feel to it that made it charming and the aliens were funny. I saw the game on sale on GOG.com a while ago. I had to get it to complete my collection of these graphical adventure games from this era. I don’t want to work here, please fire me already and get this game over with. I have been on a Linux kick recently given that my Windows computer has been occupied with running my business software that hogs all of its system resources. Closing all of my business applications to run a game and then opening them back up again when I’m done playing is cumbersome. Plus, I have always been a fan of the underdog operating system since I first used Caldera OpenLinux in 2001 when I installed it on one of the first computers I built. I’d like to spread the word of which games work and how well they work so other would be Linux gamers can be informed. The SCUMM engine lent itself to being easily ported across multiple system architectures back when Lucasfilm was releasing their games on Commodore 64, Amiga, Atari ST, IBM PC, FM Towns, and other systems. 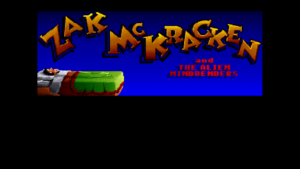 Today an application called ScummVM, which can be found at www.scummvm.org, offers a virtual machine environment to play these games across multiple modern platforms: Windows 10, macOS, Linux, and many others. ScrummVM is used by GOG.com as the basis for running Lucasfilm/LucasArts adventure games downloaded from their site. Running the installation script from GOG.com for Zak McKracken and The Alien Mindbenders was as easy as running a game setup program on Windows. Make sure you run the installation script without root permissions though or it will lock you out of being able to access your game once installed. A convenient link was added to my games menu that I was able to click on to run the game. ScummVM popped up and offered me two versions of Zak McKracken to play. I blindly chose the first option and started the game. This was not the Zak McKracken and The Alien Mindbenders I remembered. The colors were way richer. Zak looked much different, and the title theme music was incredible! It was like discovering a whole new game I had never played before. Were my memories of the past so faded? How did this happen? In Zak McKracken and The Alien Mindbenders, the player assumes the role of Zak, a tabloid news reporter who hates his job and would rather be writing novels. The game begins with Zak whining to his boss that he’ll never get a Pulitzer prize writing “sleazy” tabloid articles when he is assigned to go to Seattle to investigate rumors of a two-headed squirrel attacking park goers in Washington State. Meanwhile, the aliens in a secret room are using a machine sending pulses through the global telephone network that are slowly making the population of Earth stupider so they can take over the world. Gameplay begins after the initial cutscene with Zak McKracken complaining to his boss. The player is then in control of Zak McKracken in his apartment preparing for his plane trip from San Francisco to Seattle. Once again, the game looked far different from what I remembered. Not only were the graphics crisper and more vivid in color, but the expressions on Zak’s face and that of his boss were different from what I recalled. When I played the MS-DOS version I remembered it playing out like more of a sitcom, whereas this new Zak seemed way too serious and incredibly obnoxious to me. I seriously wanted to see him get fired by his boss, “Oh, you don’t want to write my ‘stupid’ tabloid articles? Fine, get out!” It was at this point that I noted something was certainly not right. The aliens and their stupid machine. It has an effect on them too. The two options of Zak McKracken and The Alien Mindbenders offered via the ScrummVM from the GOG.com download are for two different ports of the game. The second option was the MS-DOS version that came out in 1988 that I fondly remembered, while the first option was the FM Towns remake with 256-color redrawn graphics along with new and improved sound. It is amazing how a change in the graphics and sound of a game will influence my opinion of a game. One would generally expect that better graphics and sound would lead to better gameplay. 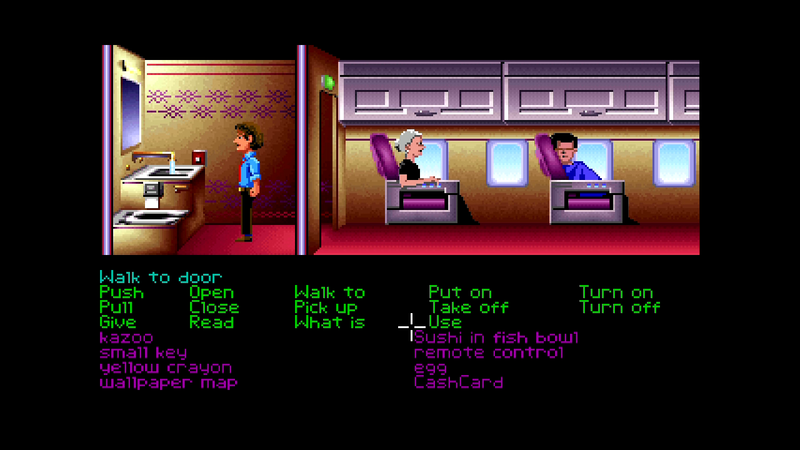 While the intro theme is indeed better and objects are easier to see and interact with in the FM Towns version, there are so many aesthetic design mistakes that make Zak McKracken and The Alien Mindbenders fall from being a classic to simply bearable retro graphic adventure. After playing it for ten minutes, the first thing you will want to do is kill the sound. Anywhere you go while in San Francisco, which is where you will be for the first 30 minutes of the game if you haven’t played it before, you’ll hear obnoxious white-noise traffic sounds with a random police siren mixed in constantly at the same volume whether you are out on the street or in your own apartment. Be careful if you pick up the phone in your apartment. Make sure you have any phone number you wish to call ready to dial, and don’t dial it incorrectly. Leaving the phone off of the receiver makes the most irritating beeping noise until you figure out how to pick up the receiver and get it hung up again. Getting to the airport to fly out to Seattle is a welcome, quiet change until you hear the airplane noises from being in the airplane. I wonder how much clean water this plane has. While spending time in the airplane was actually the most fun I had while playing in preparation for this first impressions article, it takes way too long to fly from place to place. To pass the time I would go to the plane’s lavatory and turn on the sink, press the flight attendant’s call button, and open the overhead carry-on compartments while in flight. 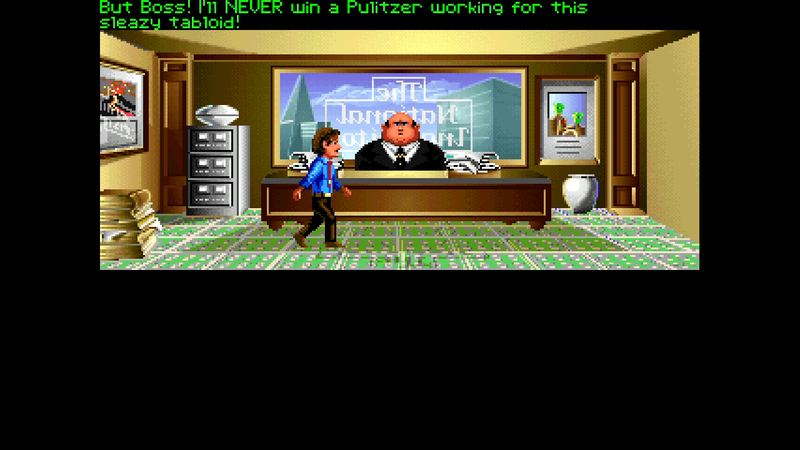 I never noticed the little annoying details when I played Zak McKracken as a kid. Maybe games today do a better job of quickly getting to the important gameplay. Playing through the first portion of Zak McKracken and The Alien Mindbenders is like reading through the beginning of a novel that is slow to ramp up. People tell you its a good story if you stick with it. There are a few humorous spots that keep you somewhat engaged, the aliens seem like they would be plucky adversaries, and there is the potential love interest named Melissa that haunts Zak’s dreams. All of these things lead up to a potentially good adventure if the player can keep the desire to see it through. With so many other graphical adventure games to play, and with this one’s sounds and artwork being so abrasive, it might be awhile before I come back and complete this one.